Mayor Leon Tate responds to accusations of improper decorum during the June 5, council meeting. GLENN HEIGHTS — Earlier this year, during his annual State of the City Address, Glenn Heights Mayor Leon Tate announced he planned to step down from his seat at the end of 2018. By presstime, Tate has still not confirmed the plans he announced in April, but soon it turns out that he might not have a choice. 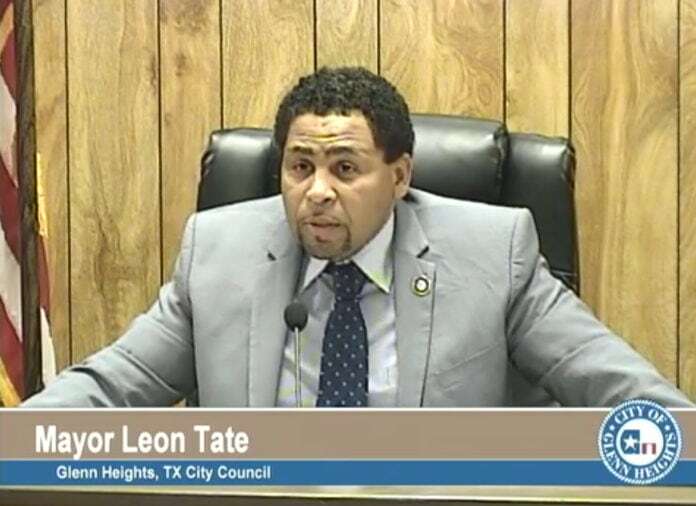 Back in June Tate’s colleagues on the City Council decided perhaps the city’s mayor does need to do what he insinuated. To that end, the council opened an investigation to look at the mayor’s possible ordinance and city charter infractions. Specifically, he is accused of violating Sections 2.04(a) and/or (b) of the Home Rule Charter through knowing and intentional violation of Section 5.05 of the Home Rule Charter. On June 5 council members decided to retain an independent investigator to determine if Tate should be removed from office for what was called “knowing and intentional” violations. The inital findings of that investigation were discussed at the August 21, 2018 council meeting. A special hearing will take place September 18, 2018 to decide Tate’s fate. The item was placed on the agenda by councilmembers Ron Adams and Machanta Newson. Later, Newson and Adams addressed the council and those in attendance about their reasons for the investigation regarding Tate’s behavior. Harry Garrett also spoke, citing the mayor’s behavior that violates the council’s ability to conduct business with peace and decorum. Garrett also made mention of Tate’s behavior following the appointment of the City Manager David Hall, in which Garrett said was berating to Hall. Garrett also accused the mayor of putting undue stress on city staff. According to the city council meeting minutes it was said Tate had refused to work with Hall in his role as city manager. In his defense, Tate and council member Tony Bradley pointed out none of the council members display ‘complete’ decorum. Nevertheless, Tate says he is open to the investigation. During the June 19 council meeting, the investigation was addressed again. Council emphasized the need to keep infractions in line with only the previously determined ordinances. There was also discussion about the projected cost for the investigation and procedure for the possible removal of the mayor. The estimated cost being $13,000. Attorney Nicole Coor, in the independent investigation, said there was not a lot of guidance in the charter. As a result, her firm put together a procedure that it is believed will provide due process. Later, a vote was called to allow for the investigation to be broadened. It was passed 5 – 2, with Tate and Bradley as the lone dissenters. At the August 21 city council meeting it was decided there would be a hearing. Tate said to the council and those in the audience that he felt there was more to the investigation. He was quite sure that it would come out as the inquiry progressed. 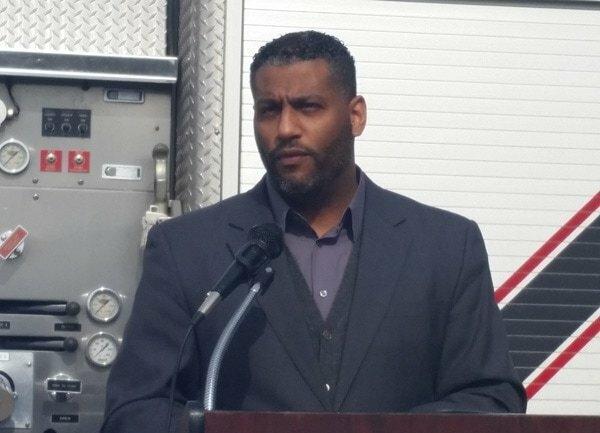 Deputy City Manager David Hall addresses residents, city employees and members of the media at a press conference noting the city’s response to December 2015 tornadoes. Tate said he has always worked hard for the city. He went on to discuss his work with the city manager. He even further indicated he did not believe there was a disconnect between him and Hall. However, Tate says that there might be some issue with how that work was defined. The three term mayor also pointed out he believed some of the statements made were slanderous and he said he did have a problem with the chosen independent investigator. Councilmember Bradley made a motion to table this item until October, but his motion failed 3-4. 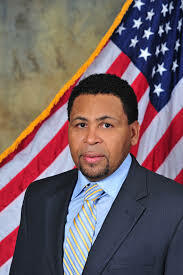 Garrett then made one to proceed with the hearing on September 18 for discussion and possible removal of the mayor. The vote passed 5–2.